A rich and interactive immersion in Thailand’s world famous gastronomy, renowned for its artistry and unique four flavor balance of salty, sweet, spicy and pungent. 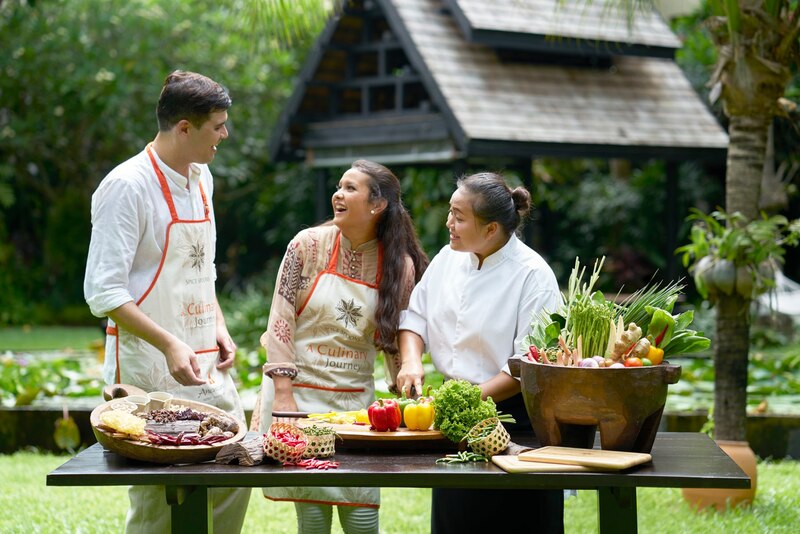 Learn about Thai and Southern Thai cuisine’s cultural significance and health benefits, indigenous ingredients and cooking equipment, as well as convenient replacements to use at home. Choose from a menu of authentic regional recipes from across Thailand, including age old southern specialties. Cook your favorites in a step by step class, and then savour your creations for lunch in tropical surroundings. One dish from each category. Depending what seasonal produce is available at the local market, chef will happily offer additional dishes to the menu selection.